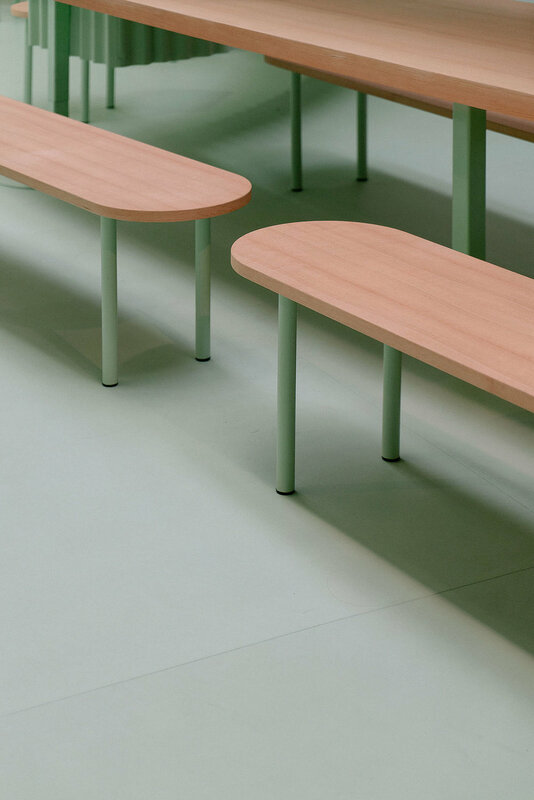 Shades of mint green epitomize sustainability and collaboration in two experimental projects in Milan. 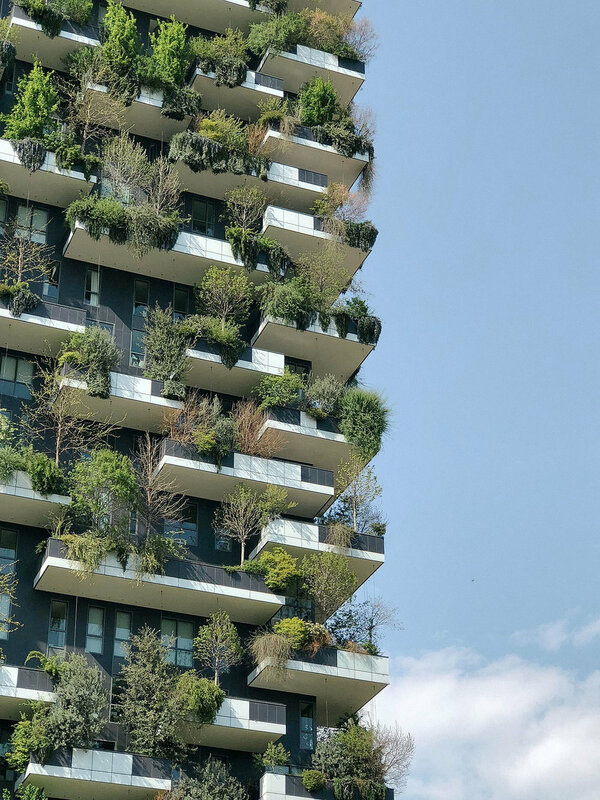 The iconic Bosco Verticale (circa 2014) represents the ultimate in green building, and the MINI LIVING "Design by All" exhibition during this year's Milan Design Week epitomizes how collaboration can create an ideal community when everyone takes part in the creative process. This is a photo essay capturing the minty experimental spirit that is present in both projects, represented by the soothing shades of green. MINI has teamed up with London architecture firm Studiomama to build a series of tiny, modular living spaces, each configured to suit a different character. 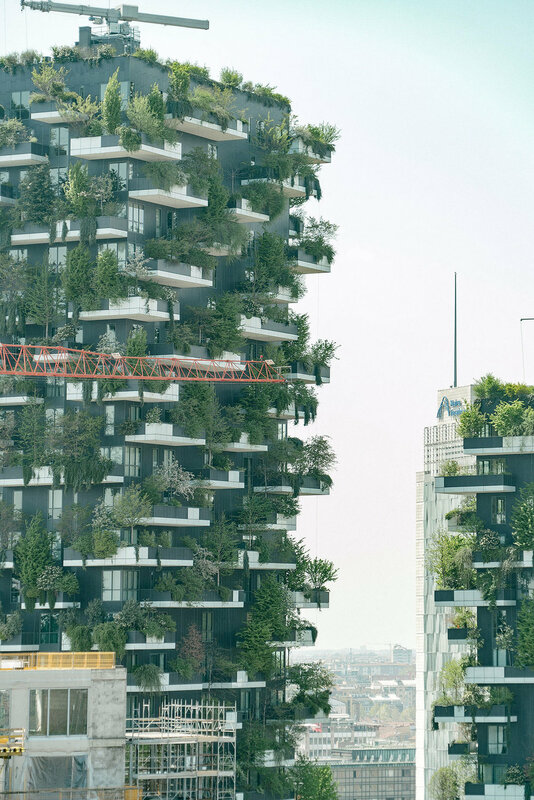 Bosco Verticale is a model for a sustainable residential building, a project for metropolitan reforestation contributing to the regeneration of the environment and urban biodiversity without the implication of expanding the city upon the territory. MINI describes the installation as a "living micro-neighbourhood in an old factory hall". The idea is that this type of setup could be created inside large unused buildings, to help alleviate the housing crisis affecting many of the world's cities. To learn more about MINI LIVING, click here to visit their website.